The Nintendo 3DS had it’s official European launch in Amsterdam today where it was confirmed that the hand-held will be available to buy in the UK from March 25th. Pricing was not confirmed by Nintendo but estimates, by those that know such things, have put a figure of around £230 for the 3DS in the UK. 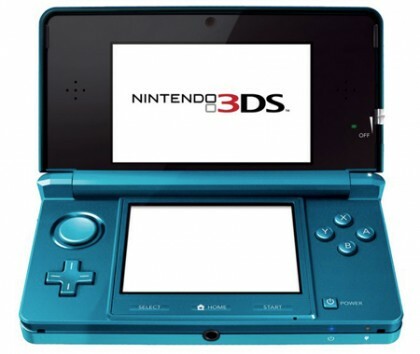 Along with the console, several 3D titles have been lined up for release, with highlights including: Star Fox 64 3D, Animal Crossing 3D, Kid Icarus 64, Legend of Zelda – Ocarina of Time 3D, Metal Gear Solid – Snake Eater 3D, Pilotwings 3D, Nintendogs, Steeldiver, Super Monkey Ball 3D, Street Fighter IV 3D, Rayman, Ghost Recon – Shadow Wars, Combat of Giants – Dinosaurs, and Asphalt 3D.